Keep your Edelbrock Carburetor performing at its best with one of these Carburetor Rebuild or Maintenance Kits. 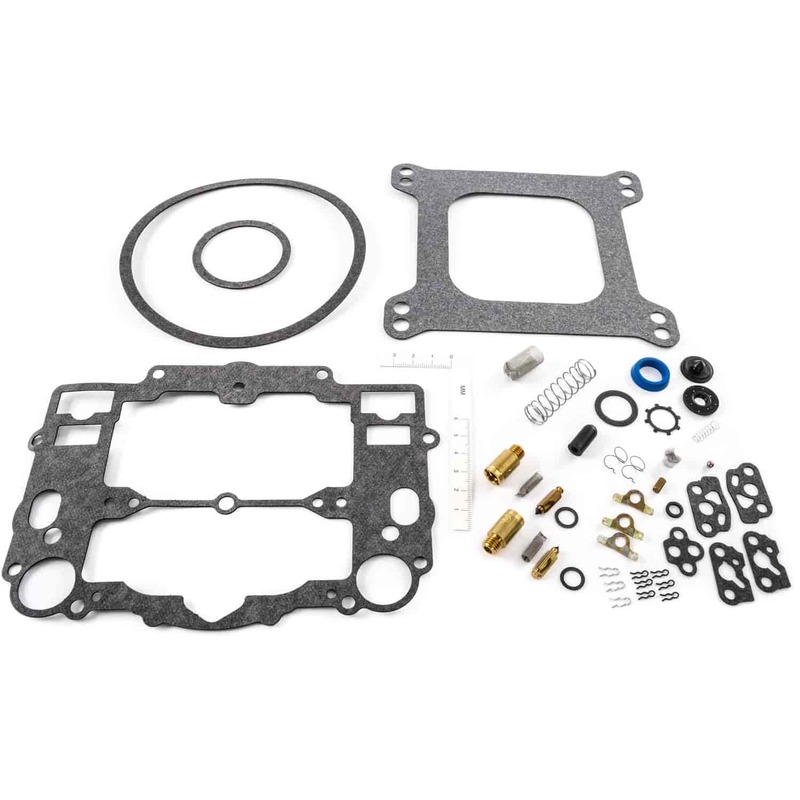 You will also find individual Edelbrock carb rebuild gaskets and parts. 1477 is rated 4.6 out of 5 by 11. Rated 5 out of 5 by Bowtieman from First Class Parts and Features All parts and instructions are included to rebuild your Edelbrock carburetor. Their instructions are so detailed that even if you think you are a expert carburetor rebuilder...you can still learn something new from their detailed guidelines. Rated 5 out of 5 by the Old Goat from I like Edelbrock carburetors Have Edelbrock carburetors on both my non-fuel injected trucks. They are very good quality and simple to tune and rebuild. The 1406 need a kit and especially new needles and seats. I don't think the needles like the methanol in the gasoline. Rated 5 out of 5 by Turnkey from carb rebuild bought kit 1477 and all parts were there. easy rebuild, there is parts list and diagrams if you run into trouble. necessary gauges are there to set floats ect. Rated 4 out of 5 by hammer 1 from ok kit wish that this kit would have include an excellorator pump otherwise everything was great. Rated 4 out of 5 by free state flyer from most everything you need to make it new again kit was very inclusive with the exception of the floats. This is just Edelbrock factory rebuild I assume? Doesn't include step up/down components for further calibration ?? Yes, this will fit the 1406. This is the correct rebuild kit for your Edelbrock carb. This kit is not made to fit your application.